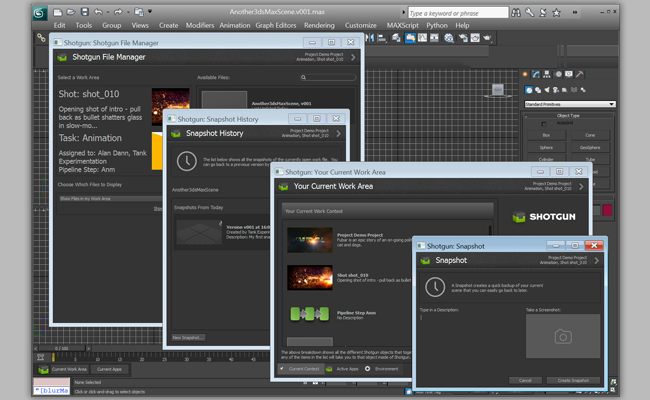 How does MonoGame work with multiple windows like Blender, 3D Max Studio or Unreal Editor? How do I implement if I close 2. window than I use back to 1. window. Do I need to use Thread Class? Button "Setting" If I open SettingWindow of MonoGame Engine. Do you think that MonoGame 3.6 / 3.7 works for multiple windows too? Or I need merge with pInvokes with Window.Handle? I have tried to Thread like Gtk App and MonoGame. But It throws exception "NoSuitableGraphicsDeviceException" problem. How do I fix? I need try catch statement? And it looks crazy if I click button "Setting" than mousecusor will hide. It looks crazy. How do I fix? Thanks! to it? Not sure, that I can give you a complete solution, though can try. To be honest, I'm not aware of how the Microsoft.Xna.Framework.GameWindow class works and if there is a significant difference between this one and WinForm. Hello @dryhfth Thanks for answer! But I really don't like WinForms. Because I hate cause Linux and Mac users argue that. I can't find example of RenderTargets with sub- or multiple-windows. * It happens bundled single executable after you run executable and it throws exceptions. Component.cs and Button.cs are made from Create simple button. That is why I can't resolve that. If you want open sub window like @willmotil he created thread since May 2017 and they don't know what is "sub window" or "multiple window" meaning? Sorry I fight that because LWJGL or LibGDX ( Java ) has multiple windows now and they move to Java. Hey hey hey C# will loose many million of people. I dont like C# happens. That is why I wish we have big success with C# like many users play Unity3D, Unreal Engine and Xenko Studio and Wave Engine and CocoaEngine and UhroEngine are happy because they have multiple windows. MonoGame has not multiple windows. What do we should that? How do I use RenderTarget for sub window? Does it have example? OK, let me see, if I can implement it to show you how it is possible, I've not tried it my self though, but generally I kinda understand how it work, so give me some time I will try to come up with some example. Yeah I think GameWindow has class from MonoGame here and I try class like this. I am sure we can have create simple SubGameWindow for MonoGame. I try if it works. I can't speak for the others, but Unity does not support multiple game windows. It supports multiple displays, which is different. Yes you're right. I mean not displays just multiple windows like any programs have sub or child windows. Do I need to add pInvoke into SubGameWindow with GameWindow? 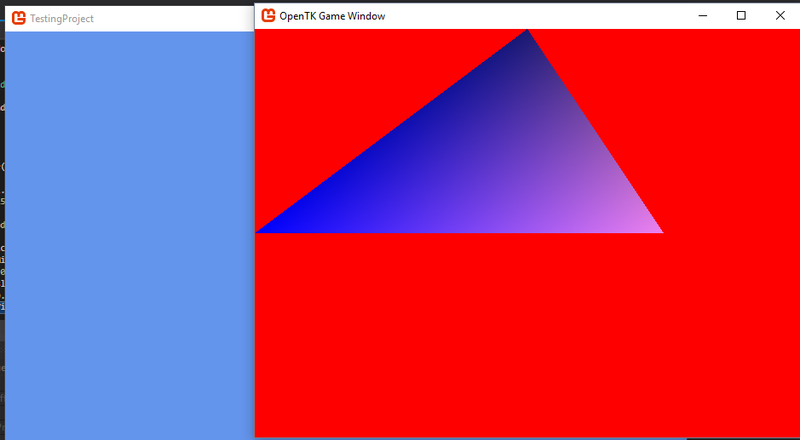 Seems like some features in GameWindow class are not supported by OpenGL. 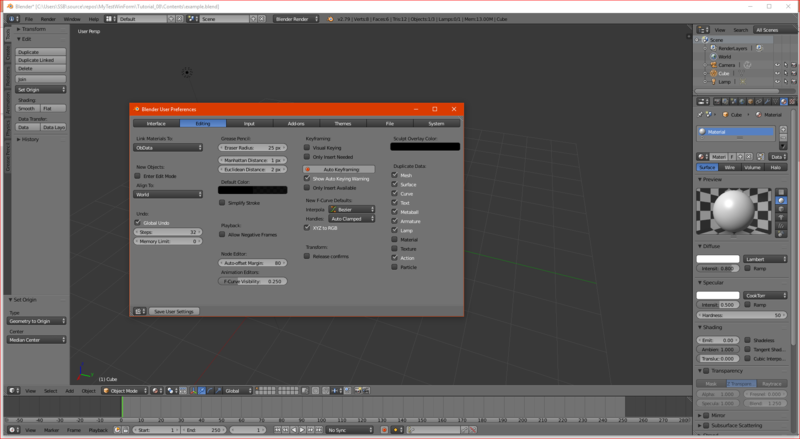 Using OpenTK library I could create window and draw primitives there. I guess it is not the best solution, bypassing Monogame framework and using OpenTK directly Though, if you don't want to use winform probably you could get along with OpenTK, but it is more complex stuff. I will try after my work and after watching with football South Korea vs Germany. Sorry, I can't tell you exactly, maybe some devs with answer)) As far as I understood, Monogame Engine uses DirectX API/OpenGL as a backend, depending on your environment (windows/linux/mac..), regardless of what you are doing in your code, unless you are using some specific features of that API & directly calling DX/GL functions. I've found few dev discussions on github, seems like multiple windows for OpenGL are not supported at the moment, so you can either comment this issue & wait for them to answer or try to implement something by yourself. You can also try to work with different viewports, but it is more to deal with split screen, though might be helpful. @dryhfth Thanks for showing I am sorry I don't see link about your example picture. I have tried . But It seems like crazy.